She wonG? 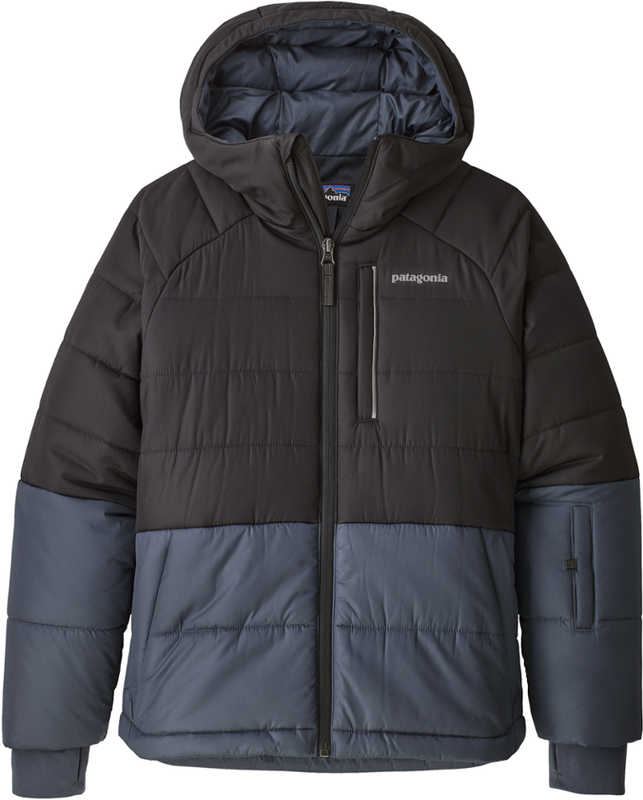 ?t be hungry for warmth while carving turns down Thanksgiving Bowl, thanks to Patagonia's Snowbelle Jacket. 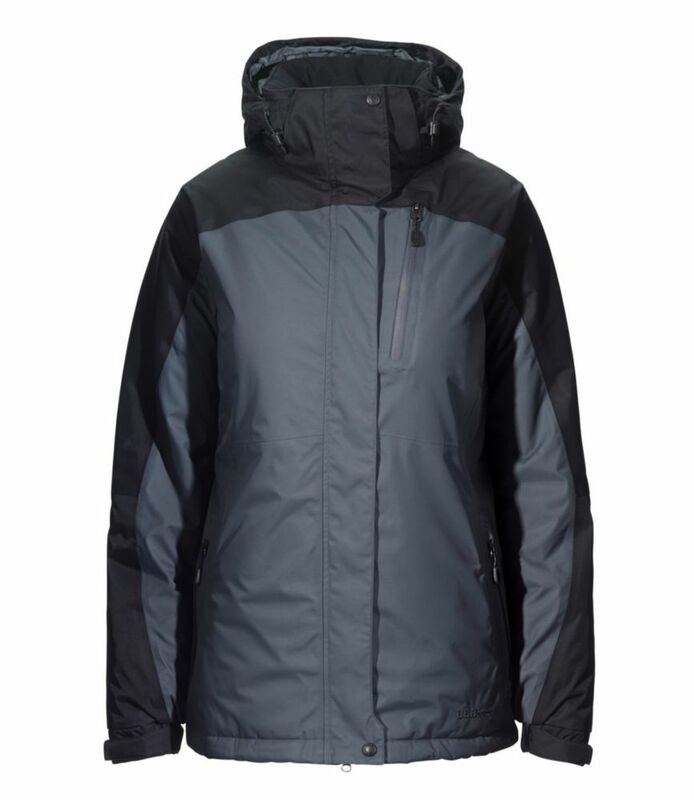 Built with an H2No Performance Standard 2-layer polyester shell that has a waterproof/breathable barrier for storm protection, the jacket has a DWR (durable water repellent) finish and fully taped seams to keep her dry. Lightweight, polyester plain weave lines the body and sleeves to wick away moisture and provide a smooth glide over layers. 150-g Thermogreen polyester (92% recycled) insulation stays warm even when wet. She wont be hungry for warmth while carving turns down Thanksgiving Bowl, thanks to the weather-shielding Girls Snowbelle Jacket. 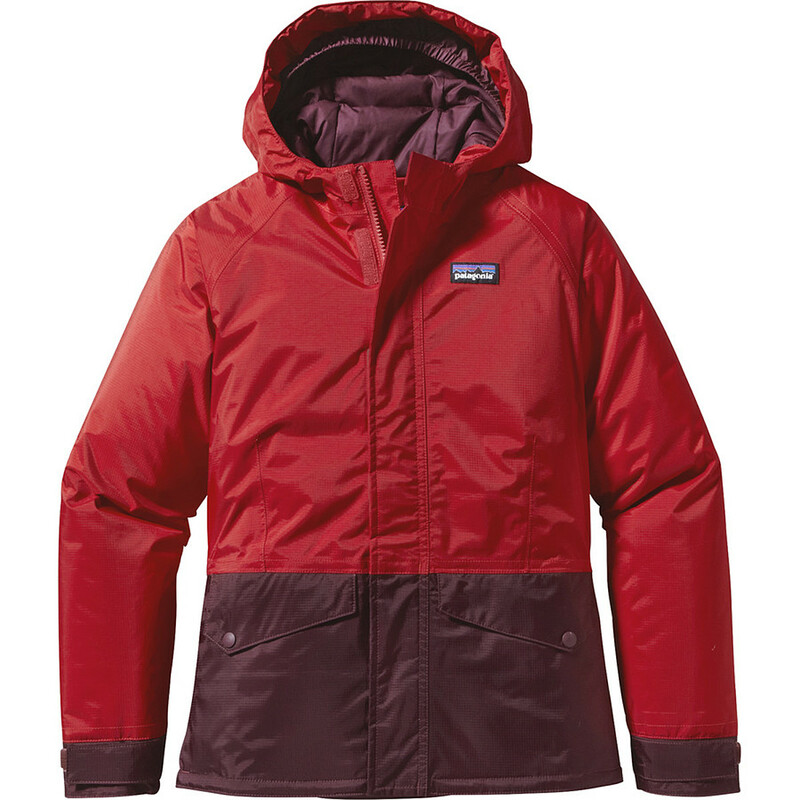 Built with an H2No Performance Standard 2-layer polyester shell that has a waterproof/breathable barrier for storm protection, the jacket has a DWR (durable water repellent) finish and fully taped seams to keep her dry. Lightweight, polyester plain weave lines the body and sleeves to wick away moisture and provide a smooth glide over layers. 150-g Thermogreen polyester (92% recycled) insulation stays warm even when wet. Removable 3-panel hood with snap attachment; internal elasticized gusset for a stay-put fit. Waterproof, center-front zipper with full-length internal wind flap and zipper garage to prevent chin chafe. Covered zipper chest pocket has a pass-through hole for media cord. Pass pocket on sleeve has waterproof zipper; handwarmer pockets have covered zipper closure. Articulated sleeves have grow-fit feature, which increases length by two inches; tapered sleeve cuffs provide extra coverage and adjust with hook-and-loop closure. Internal microfleece cuffs have thumb holes. The jacket has a slight drop-tail hem for extra coverage. Hand-me-down ID label. 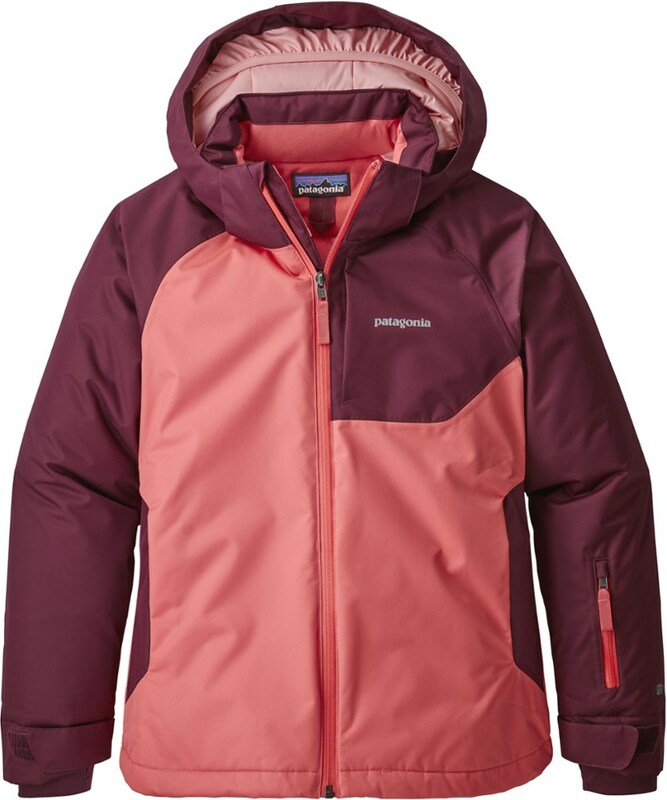 She won't be hungry for warmth while carving turns down Thanksgiving Bowl, thanks to the weather-shielding Patagonia Snowbelle insulated jacket for girls. 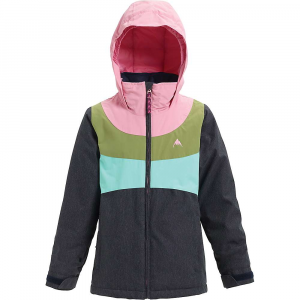 The weather-shielding Girls' Snowbelle Jacket is built with an H2No(R) Performance Standard 2-layer polyester shell that has a waterproof/breathable barrier for storm protection, plus a DWR (durable water repellent) finish and fully taped seams to keep her dry. Lightweight polyester plain weave lines the body and sleeves to provide a smooth glide over layers. 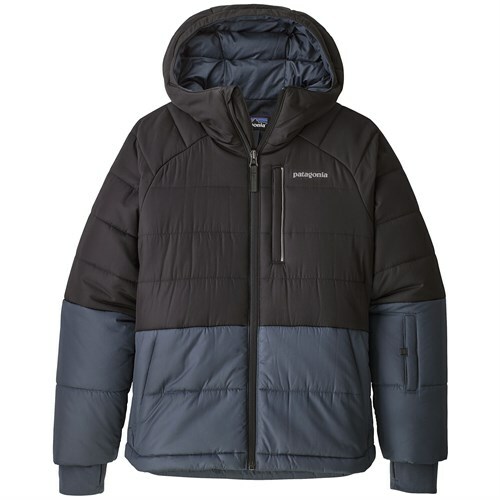 When temps drop, the 150-g Thermogreen(R) polyester (92% recycled) insulation will stay warm-even when wet. Tricot lining the collar, center-back panel and back of chin guard adds cozy warmth. The jacket is fully featured with a removable three-panel hood with snap attachment, and an internal elasticized gusset for a stay-put fit. The waterproof, center-front zipper with full-length internal wind flap and zipper garage prevents chin chafe. Covered zipper chest pocket has a pass-through hole for media cord. Pass pocket on sleeve has waterproof zipper; handwarmer pockets have covered zipper closure. Articulated sleeves have grow-fit feature, which increases length by two inches; tapered sleeve cuffs provide extra coverage and adjust with hook-and-loop closure. Internal microfleece cuffs have thumb holes. The jacket has a slight drop-tail hem for extra coverage. Hand-me-down ID label. When you first taught your kid to ski, half the day was spent dragging a crying mess around. These days it's the other way around. 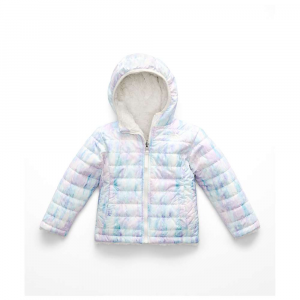 Wearing the Girl's Patagonia Snowbelle Jacket, your little speed demon is constantly pulling you out the door and towards the trails. It's no wonder, seeing as this insulated beauty keeps her warm all day and looks pretty cute to boot. The H2No membrane won't let snow or wind ruin her runs, and she's got a hood to keep her ears warm. When she crashes into some pow, some tears might leak out, but nothing is going to sneak in--the snow skirt and thumb holes keep every opening sealed shut. Too bad there isn't a jacket that will make her love homework as much as this makes her love skiing.